Why Kindergarten Is The New First Grade : NPR Ed Less art and play; more textbooks and tests, say surveyed teachers. "What are some of the things that the monsters like to eat in this story?" teacher Marisa McGee asks a trio of girls sitting at her table. McGee teaches kindergarten at Walker Jones Elementary in Washington, D.C. Today's lesson: a close reading of the book What Do Monsters Eat? "They like to eat cake," says one girl. "I noticed you answered in a complete sentence," McGee says. "Can you tell me something else?" McGee follows with a line you might not expect in a kindergarten class: "Can you show me the page where you found that?" Textual evidence. Complete sentences. Welcome to kindergarten in 2016. It's not quite what McGee, 29, says she was expecting when she started. "When I came into kindergarten, down from first grade, I was like: Yes! What can I order for dramatic play?" McGee says. "And I was told: Kindergartners don't do dramatic play anymore." If you have young kids in school, or talk with teachers of young children, you've likely heard the refrain — that something's changed in the early grades. Schools seem to expect more of their youngest students academically, while giving them less time to spend in self-directed and creative play. A big new study provides the first national, empirical data to back up the anecdotes. University of Virginia researchers Daphna Bassok, Scott Latham and Anna Rorem analyzed the U.S. Department of Education's Early Childhood Longitudinal Study, which includes a nationally representative annual sample of roughly 2,500 teachers of kindergarten and first grade who answer detailed questions. Their answers can tell us a lot about what they believe and expect of their students and what they actually do in their classrooms. The authors chose to compare teachers' responses from two years, 1998 and 2010. Why 1998? Because the federal No Child Left Behind law hadn't yet changed the school landscape with its annual tests and emphasis on the achievement gap. In 2010, prekindergarten prep was expected. One-third more teachers believed that students should know the alphabet and how to hold a pencil before beginning kindergarten. Everyone should read. In 1998, 31 percent of teachers believed their students should learn to read during the kindergarten year. That figure jumped to 80 percent by 2010. More testing. In 2010, 73 percent of kindergartners took some kind of standardized test. One-third took tests at least once a month. In 1998, they didn't even ask kindergarten teachers that question. But the first-grade teachers in 1998 reported giving far fewer tests than the kindergarten teachers did in 2010. Less music and art. The percentage of teachers who reported offering music every day in kindergarten dropped by half, from 34 percent to 16 percent. Daily art dropped from 27 to 11 percent. Bye, bye brontosaurus. "We saw notable drops in teachers saying they covered science topics like dinosaurs and outer space, which kids this age find really engaging," says Bassok, the study's lead author. Less "center time." There were large, double-digit decreases in the percentage of teachers who said their classrooms had areas for dress-up, a water or sand table, an art area or a science/nature area. Less choice. And teachers who offered at least an hour a day of student-driven activities dropped from 54 to 40 percent. At the same time, whole-class, teacher-led instruction rose along with the use of textbooks and worksheets. Not all playtime is trending down, though. Perhaps because of national anti-obesity campaigns, daily recess is actually up by 9 points, and PE has held steady. Bassok was surprised by her results. "We went into the study seeing a lot of anecdotal evidence" about the ratcheting up of expectations in kindergarten, she says. "I thought part of this was a nostalgia for what we imagined kindergarten may have been. It's pretty amazing to me that, over a 12-year period, we see such drastic changes in teachers reporting what they expect and how they spend their time." But what do these findings mean? And are they inherently bad? Sonja Santelises, vice president for K-12 policy and practice at the Education Trust, which focuses on efforts to reduce the achievement gap, says rising expectations are a good thing, though "rigid instruction" is not. "The report clearly raises important questions about how we are teaching our youngest learners," Santelises says. "But we need to be careful that we're not conflating the challenge of high-quality, engaging instruction and the actual target of learning to read." Bassok agrees. "The changes that seem potentially troubling are more around how kids are learning, not what kids should be learning," she says. "There are classrooms that are very hands-on and allow kids to explore and also have terrific focus on math and are language-rich. Those things don't need to be at odds at all." 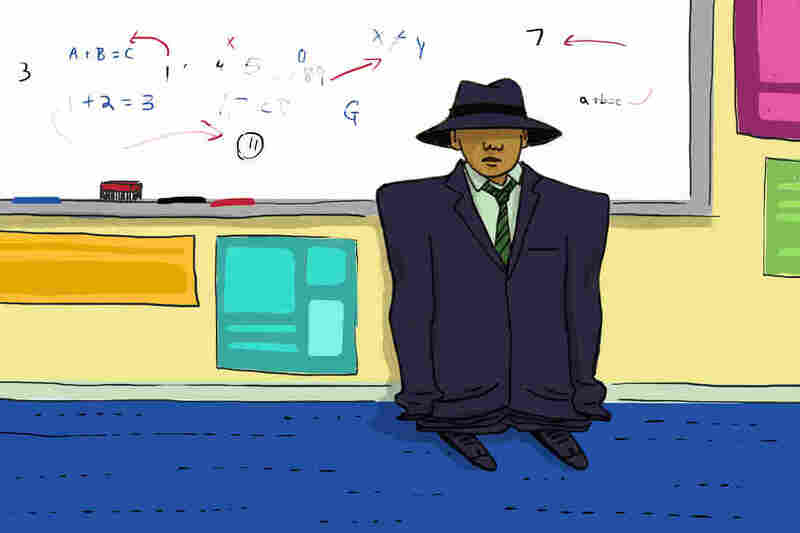 It's easy to make this a story about teachers' responses to high-stakes testing. Especially when you consider that, for every one of these indicators, the trend was even stronger in high-poverty classrooms and in schools with more nonwhite children — schools that no doubt felt accountability pressure under NCLB. However, the authors caution that there are lots of factors at play here. Since 1998, the number of children attending public preschool has jumped dramatically. There's been an even bigger leap in students attending full-day versus half-day kindergarten, which gives teachers more time to cover every subject. Parents also appear to be spending more time reading to kids and otherwise introducing language and math. In short, it's possible teachers' academic expectations have risen, at least in part, because more kids are coming to kindergarten better prepared. Also, kindergartners are older than they used to be: 1 in 5 is 6 years old, in part due to the practice of "redshirting." It should be said: The data in this study are five years old. It doesn't capture changes that may have taken place in schools since the adoption of the Common Core, for example. Kindergarten changed dramatically in just over a decade; as policies continue to shift, so too could practice. For now, it's less pretend time and more reading for the kids at Walker Jones Elementary.